Whether you’re at home, work or on the road, a licensed doctor, dermatologist or therapist is always within reach. Our healthcare professionals can treat many common conditions. Request a visit anytime and talk to a doctor by phone or video. Our doctors will review your medical history, listen to your concerns and provide the treatment you need. 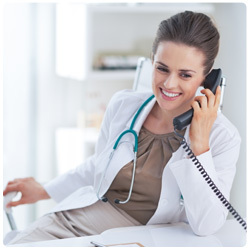 All our healthcare professionals are board-certified and licensed in your state. If medically necessary, our doctors can prescribe medication. 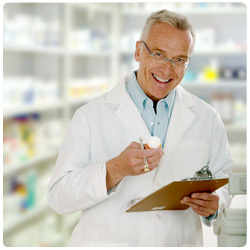 Our healthcare professionals will send the prescription to your pharmacy of choice.